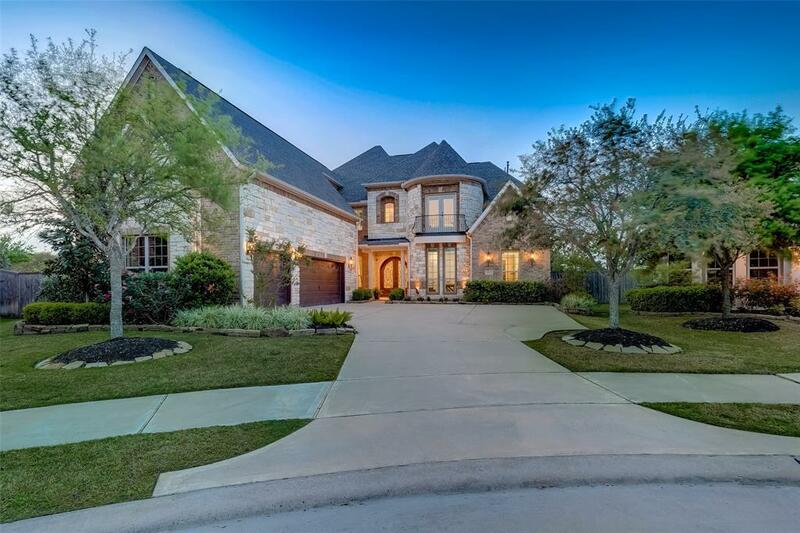 Magnificent Toll Brothers custom home in the exclusive gated community of Cinco Ranch w/5 berms (2 down w/ensuite baths), 6 full baths & 3 car garage! Perfectly located just minutes from I10, 99 & Westpark Toll, walking distance to 7 Lakes HS and 7 Lakes Jr High! 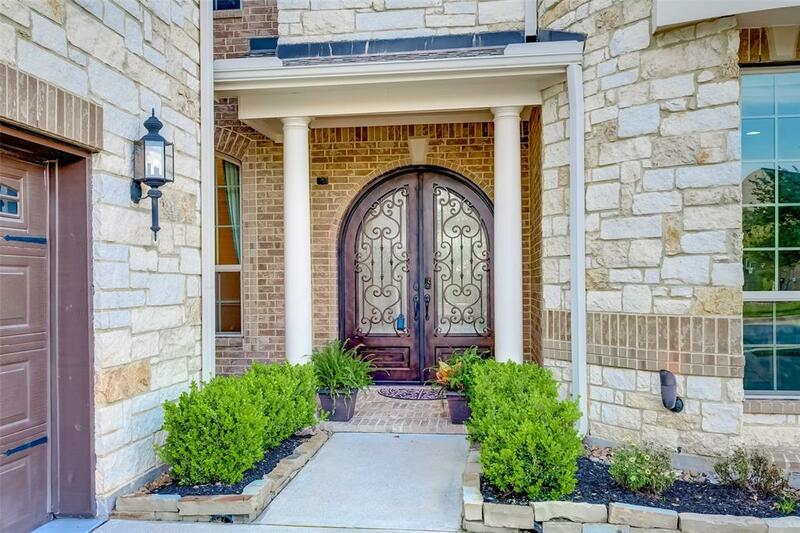 No back neighbors & backs to walking trails, beautiful bridge & a lovely man-made lake! 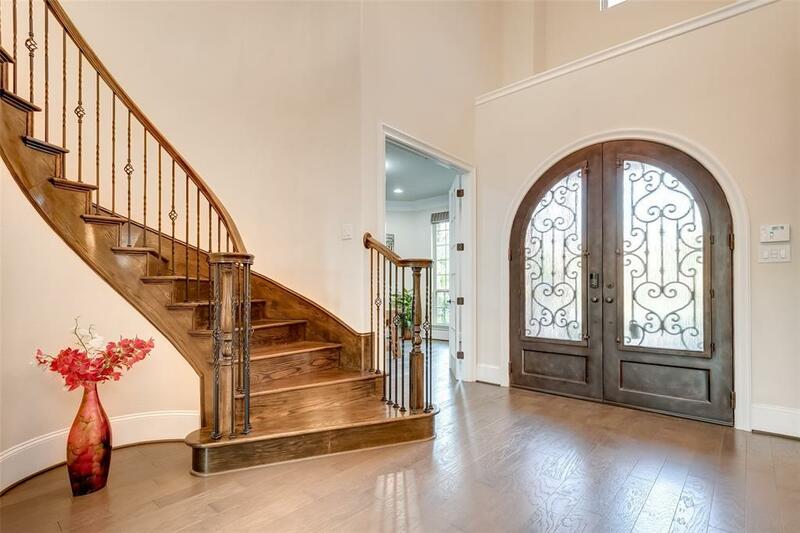 Double door entry leads to gorgeous hardwood floors that carry throughout first floor, study w/French doors & built-in bookshelf, dining room w/convenient pass-through to Butlers Pantry. 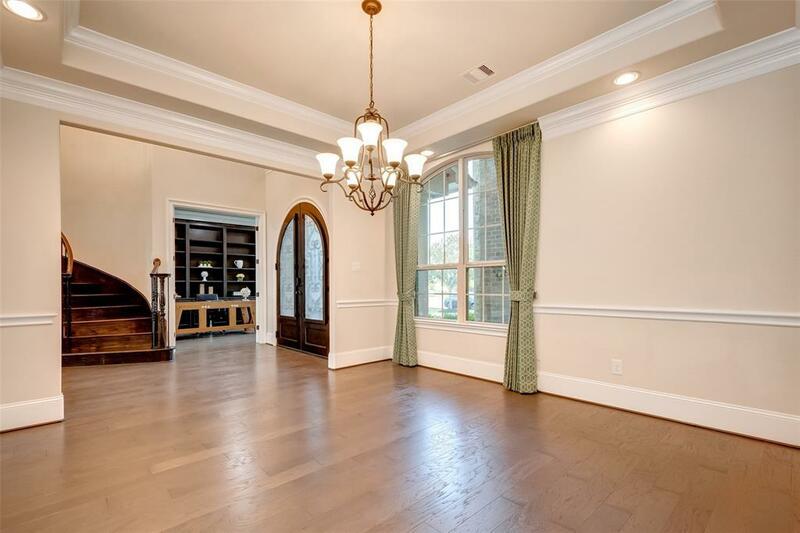 Exquisite living room w/floor to ceiling stone fireplace filled w/light, giant windows & soaring ceilings- perfect for entertaining! Gourmet kitchen is a chef's dream w/ double ovens! Luxurious master suite w/sitting area, bath features his/hers vanities & garden tub- the perfect spot to relax. Large game room, & incredible 30 ft long MEDIA room. Huge back yard oasis ready for outdoor entertaining featuring a sparkling pool & spa! NO FLOODING! Must See!